If you want to upgrade or completely remodel your Salt Lake City kitchen or bathroom, you need help from start to finish. 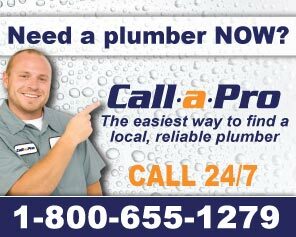 Not all plumbers specialize in home improvement projects or remodels. From small residential remodels to larger business and commercial projects, the remodeling services offered by Salt Lake City plumbers can vary greatly. The most popular projects for homeowners and home improvement are Salt Lake City bathroom remodeling and Salt Lake City kitchen remodeling. It has been well known that investing in a bathroom renovation or upgrade can increase the value of the home, but the real reason for a remodeling project is to enjoy living in your home even more! Broken fixtures and outdated colored tiles really can get old to look at after a while, so go ahead and update the style and enjoy your new look, just the way you want it. Don't know where to start for ideas? Bathroom remodeling ideas can be found in magazines, showrooms and on home improvement shows. Think about some of the homes you have visited that caught your eye. Homeowners can choose from many designs: Wall mounted sinks, pedestal sinks, glass and mosaic sinks, artisan sinks with art painted into the basin. The options are virtually limitless. Bathtubs also come in a variety of shapes and sizes to help give your bathroom a touch of personality. You can choose from your standard fiberglass tub to elegant claw-footed tubs, luxury bathtubs with jets and massages that turn an ordinary bathroom into a relaxing spa experience.As you research the options available to you for your bathroom renovation project, consider how you and your family will use the room. Does it need to be kid-friendly? Will storage be required? If you are interested in an eco friendly renovation, there are many water and energy saving options available to you from low flow toilets to lighting options. As environmental concerns continue to grow, green plumbing ideas and renovations continue to advance and become more affordable. Think about selecting low-flow faucets and shower heads as well as dual-flush toilets. These dual-flush toilets have been popular in Europe for years and can save the average family about 1,300-3,000 gallons of water each year. Not only is that helping the environment, but it saves you money over the long run. Another way to help your budget along with the planet when you’re working on your bathroom renovation project is to insulate your pipes for optimal heat-retention. Less energy is required to keep the water warm as it travels from your main water heater to your shower or sink, thus saving you money. You may also want to think about installing a tankless water heater if green plumbing is a priority for you. There are many options and ideas to consider, but we are here to help you find the right solutions to complete your remodeling project just the way you want it. After all, your bathroom is one of the most vital and used rooms in your home. It should reflect your personal style and needs as much as any other room in your home. Add value to your home and enjoy your new look! Salt Lake County UT, Tooele County UT, Tooele UT, Stansbury Park UT, Erda UT, Lake Point UT, Grantsville UT, Rush Valley UT, Stockton UT, South Jordan UT, West Jordan UT, Taylorsville UT, West Valley UT, Salt Lake City UT, Bluffdale UT, Draper UT, Herriman UT, Holladay UT, Kearns UT, Lincoln UT, Magna UT, Midvale UT, Murray UT, North Salt Lake UT, Riverton UT, Rose Park UT, SLC UT, Sandy UT, South Salt Lake UT, Eagle Mountain UT, Taylorsville UT, Sandy City UT, Midvale UT, Sugar UT, and surrounding areas.